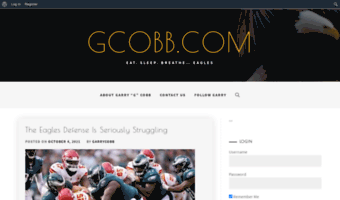 Never miss Gcobb.com updates: Start reading the news feed of GCOBB right away! This site’s feed is stale or rarely updated (or it might be broken for a reason), but you may check related news or Gcobb.com popular pages instead. It is generally safe for browsing, so you may click any item to proceed to the site. News, rumors, game coverage of the Philadelphia Eagles, Philadelphia Phillies, Philadelphia Flyers, and Philadelphia 76ers.